Denver, CO—March 3, 2011— This Memorial Day weekend, the non-profit organization Limmud Colorado will celebrate all things Jewish with their fourth annual weekend-long conference. Hundreds of Jews from Colorado and throughout the country will gather on the scenic campus of the University of Colorado at Colorado Springs to engage culturally, spiritually, and socially at an event that is part conference, part festival, and part Jewish camp for all ages. Limmud Colorado celebrates the diversity of Jewish life, by offering opportunities to explore art, worship, culture, film, text, the outdoors, music, dance, humor, history and food, all in a Jewish context and in a scenic Colorado setting. Scholar David Silber, founder and dean of Drisha Institute. Author and teacher Rami Shapiro, director of Wisdom House, a center for interfaith study, dialogue, and contemplative practice. Activist David Cygielman, founder of Moishe House. Musician and educator Naomi Less, founder of Jewish Chicks Rock and Storahtelling. Professor Miri Talmon-Bohm, lecturer on Israeli film and culture. Artist Laurie Bellet, who will once again host the popular Limmud Colorado art studio. Limmud Colorado provides a dynamic festival of choices and events, allowing each participant to create a customized experience. Limmud Colorado is designed to serve all ages. 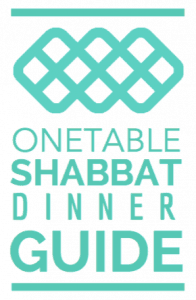 Registration includes 3 nights’ accommodations on campus (in dormitory suites with private baths per suite; single and/or upgraded rooms are available for an additional fee), all meals (Kosher, supervised) from Friday dinner through Monday breakfast, unlimited programming, and children’s programs and childcare. Families are encouraged to attend together, as “Camp Limmud” for ages 4-12 and “Limmud K’tan” for ages 0-3 are designed to provide even the youngest Limmud participants with meaningful and fun learning experiences. Limmud Colorado is also pleased to participate in the MazelTot program, a Rose Community Foundation grant initiative to connect young families to Jewish life and to each other. If you live in the Denver/Boulder metro area, have a child below the age of 5, and have never attended our conference before, you may qualify for MazelTot discounts, which are valued at 50% of registration up to $400. Check out the MazelTot website for details. Limmud Colorado will take place over Memorial Day weekend, May 27-30, 2011 at the University of Colorado at Colorado Springs. Registration is available online at www.limmudcolorado.org. Information: Beth Steinhorn at (303) 908-2785 or info@limmudcolorado.org. Limmud Colorado’s mission is to organize an annual multi-generational, volunteer-led festival of Jewish learning, culture, and art. Limmud Colorado is a new Jewish non-profit organization in Colorado, but the first Limmud event was held 30 years ago in the United Kingdom. Since then, Limmud has spread to dozens of cities around the world, including Moscow, Toronto, Istanbul, Berlin, Cape Town and New York.